The Dana Whiting Law team is not just a group of estate planning attorneys who are experts at what they do. 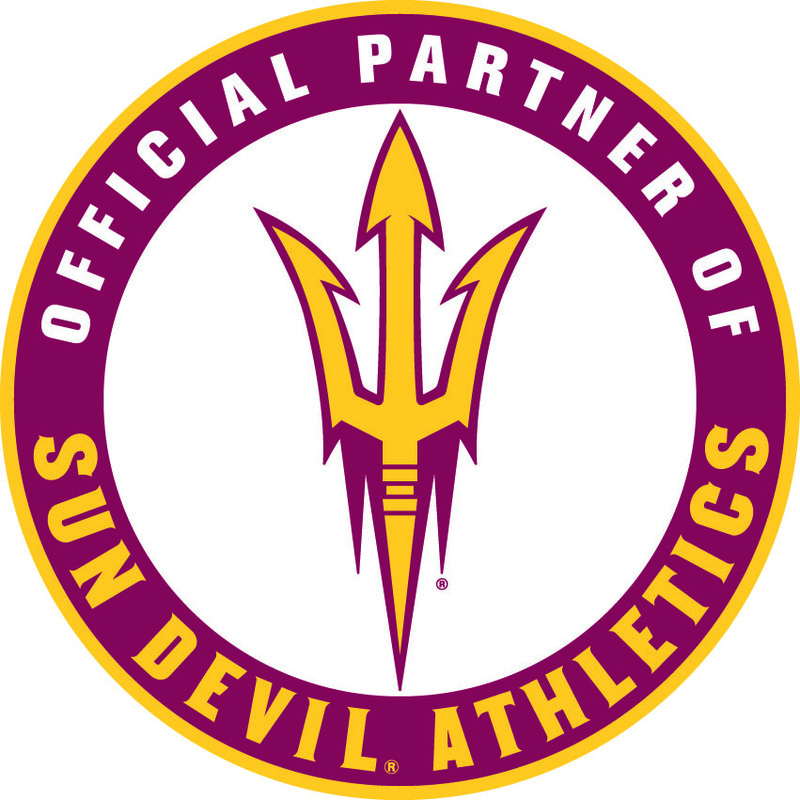 They are also huge supporters of Arizona State University-not only because of the quality of the institution, but because of the personal ties that Matt, Trevor, and much of their team has to ASU. Both Matt Dana and Trevor Whiting received their undergraduate degrees from Arizona State University. Matt’s five children followed suit and are also all ASU graduates. Many other members of the team at Dana Whiting Law also attended Arizona State and are proud to be Sun Devils. Matt Dana was appointed to the Sun Devil Club Board of Directors this season. He has been involved with ASU Athletics for almost ten years, going back to his Dana Law Firm days. While he was at Dana Law Firm, Matt was both a corporate and charitable sponsor. Matt and his firm’s support of ASU continues at Dana Whiting Law. Dana Whiting Law contributes to Sun Devils Athletics with a suite at Sun Devil Stadium. You will see their corporate sponsorship sign on ASU’s new LED ribbon banner and Official Review on the PA screen in the updated Sun Devils stadium. Matt also continues to work with various branches of planned giving and fundraising for the Sun Devils. 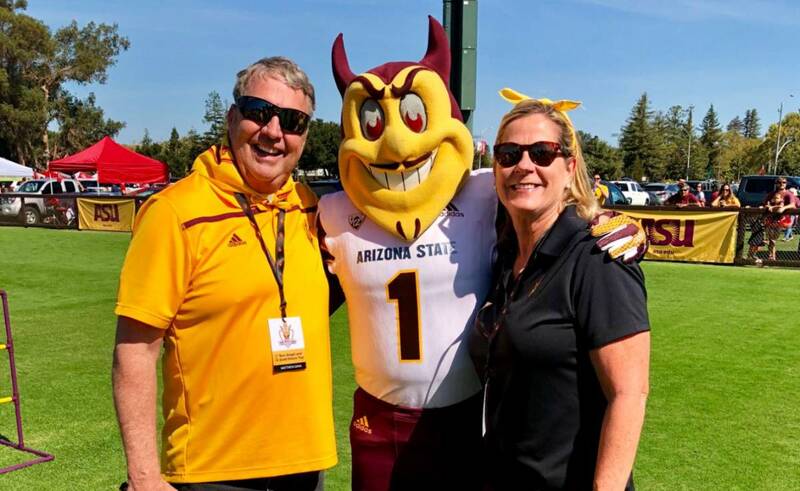 Like Matt, Trevor Whiting also continues his involvement with ASU as a Partner in Philanthropy in conjunction with the Arizona State University Foundation, one of the oldest nonprofits in the state of Arizona. The ASU Foundation states that their purpose is to “build and sustain Arizona State University”, and Trevor feels passionate about helping to make that happen.